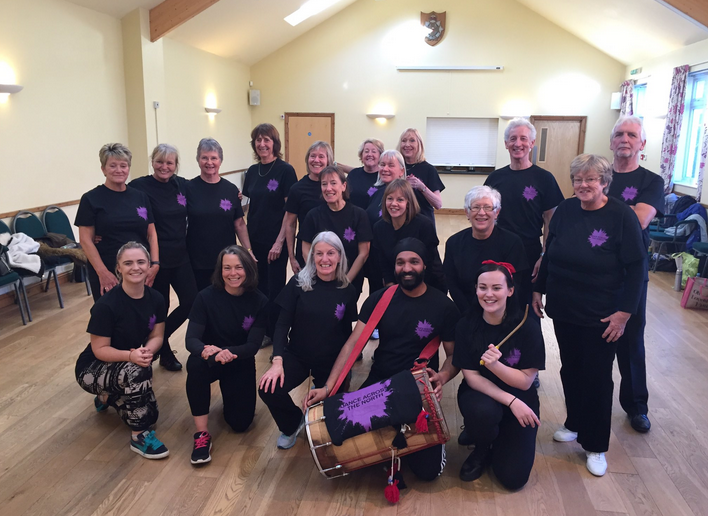 Dance Across the North went out with a bang in Workington, Cumbria yesterday thanks to a group of lively locals with a passion for dance….read on…. Energetic members of the U3A helped us mark the end of a spectacular year of dance across the north of England. Members of the University of the Third Age got to grips with the Dance Across the North routine during a short rehearsal this week. They then performed live in front of shoppers at Dunmail Park Retail Centre in Workington, Cumbria. Bystanders were taken by surprise as the Dhol drum sounded the start of the routine. Click here U3A flashmob to watch the group in action.